I’m back today with yet another lip cream/liquid lipstick review, only this time I’m looking at a high street buy. Hopefully by the end of it I’ll really be able to tell you whether this brand can really go up against high end buys such as Anastasia Beverly Hills or Kat Von D.
The product under review today is from Sleek. A brand that has already made so many exciting waves in the beauty industry. 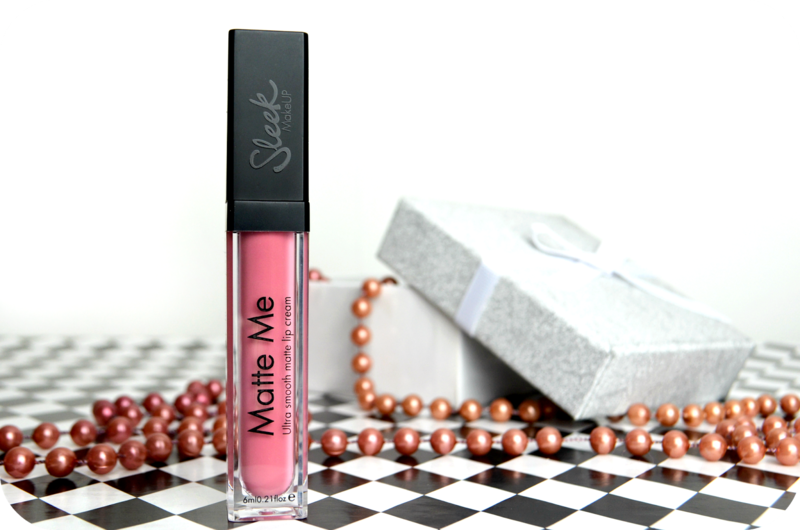 Today, I’m specifically going to be looking at Sleek’s, Matte Me Lip Cream in Petal. I absolutely love the packaging. It’s a transparent cuboid shaped tube with a matte black cap. It’s a simple design that really works. For me, the packaging is up there with high end brands.Besides aesthetics, for practical use, it’s a great size. The lip cream comes with an applicator wand, that’s attached to the cap and is very easy to use. The applicator isn’t a doe foot wand but for me, this made absolutely no difference to the application. The lip cream applied very easily on to my lips and I found that it is fairly pigmented. I’m saying ‘fairly’ because it I was to rate it on a scale of 1 – 10 with 10 being as pigmented as it could be, I’d say it’s a 7. I’m not sure whether it’s just because it’s a light colour or not, but the reason I’m giving it a 7 is because I definitely needed two coats to stop my lip colour showing through. My lips are fairly light in colour so it isn’t even that they’re quite dark and needed anther coat for that reason. Nonetheless, it’s still much more pigmented than I had expected and it’s really not that much of a bother to apply an extra coat. I mean, most of us would do it anyway, right? The lip cream does take a few minutes to dry which is a bit of pain for me. I always end up wiping my lips or smudging them so I’ve had to be very careful for it to be fully dried before I can carry on with getting ready. Whilst it’s drying the product does feel sticky on my lips but when it’s done drying, I couldn’t feel it at all. It’s a given that liquid lipsticks are drying, especially matte ones however this product doesn’t require heavy lip balm application. It’s not as moisturising as Kat Von D but definitely not as drying as ABH. There was no weird sensation where I felt like I had something sitting on my lips and definitely no urge to scrub it all off my lips. 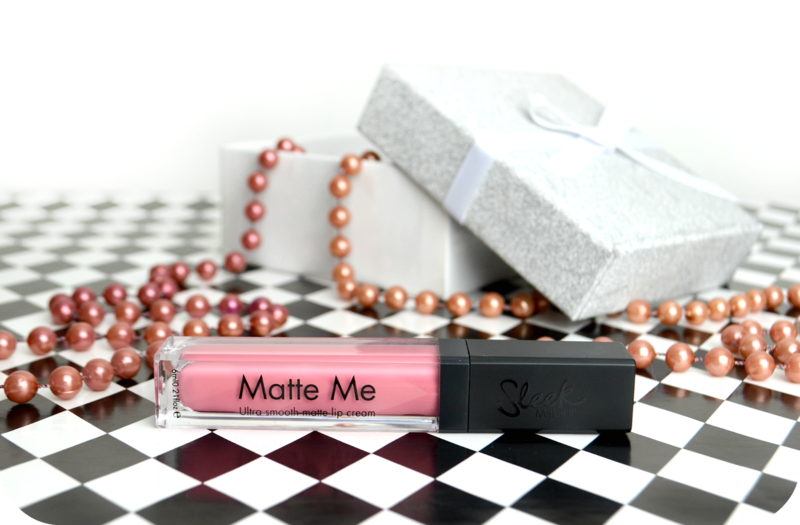 Now for the moment of truth, I’m so so happy to announce that the Matte Me lip cream (once dry) does not budge! It’s touch, kiss and transfer proof (and even sleep proof!). When eating greasy food, drinking or constantly licking your lips, the product will come off, but only the areas that you’ve been touching. If you stay away from all of the aforementioned then it lasts 6 hours without needing a touch up. The shade petal is a very light pink. 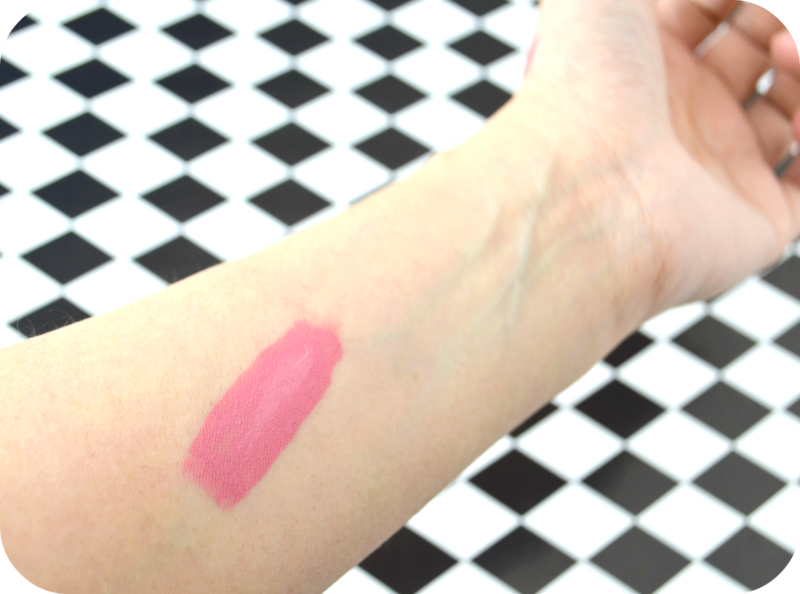 My initial thought after the first swipe was that it’s very ‘Barbie’ which in all honesty, I wasn’t too sure about but like a lot of liquid lipsticks it dries slightly darker and it’s really grown on me. Sleek only have 6 shades out in this range and I can’t wait for them to release some more. I’d love to see slightly unusual colours released, maybe some browns and oranges. Priced at only £4.99 these are a must-have for any beauty lover, and believe you me, they’re worth every penny! I’ll definitely be purchasing the rest of the shades when pay day comes around!